MEXICO CITY (AP) — The Mexican government is launching a plan to give Mexicans living in the United States a voice on national policy. The Institute for Mexicans Abroad is planning to hold open-ended public consultation sessions from mid-March to mid-April in 13 U.S. cities. The forums will start on Sunday in San Francisco and end in Chicago on April 12 and New York on April 13. The head of the Institute said Thursday that Mexicans can participate whether they are long-time established migrants or recent arrivals without proper documents. 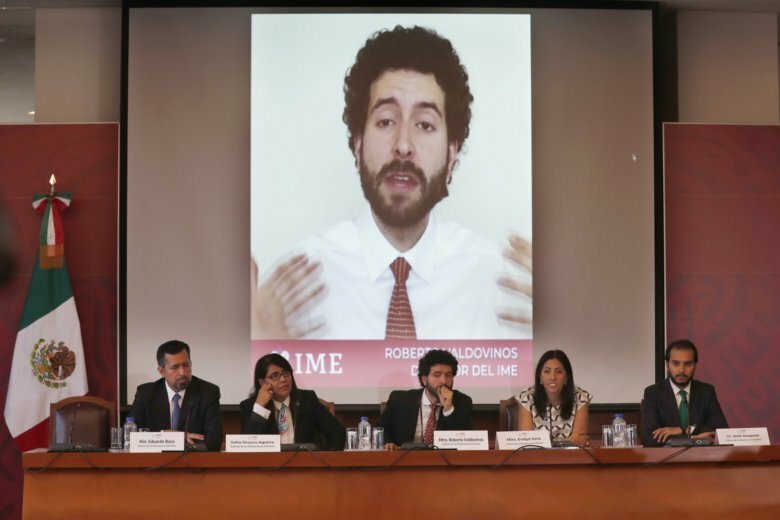 “These are 12 million countrymen whose voices have never been heard before at this level,” said the head of the institute, Roberto Valdovinos. The consultative forums will be held in San Diego, Sacramento, Fresno and Los Angeles, and also in the Texas cities of Dallas, Houston, San Antonio and El Paso. Phoenix and Tucson will also have dates. The forums won’t be yes-or-no votes, but rather a chance for Mexicans abroad to contribute ideas on Mexico’s national development plan. Valdovinos said the administration of President Andres Manuel Lopez Obrador is hoping to put together a comprehensive plan for Mexicans returning or deported from the United States, including points like making it easier for them to get their U.S. educational records transferred to Mexico. While such plans have been attempted in the past, they frequently never made it out to their outlying towns many migrants come from. “These (programs) are often mandated on a national level, but out in the townships they aren’t enforced, because of inertia,” Valdovinos said. Lopez Obrador has said that his hope is to create enough jobs in Mexico so that Mexicans no longer have to migrate, and that eventually the United States will be asking for Mexicans to come.